We all know how Asian cuisines serve up some of the best food in the world (yes, we’re biased! ), and eating your way through any country is truly a great way to learn about its culture, heritage and most importantly, its people. 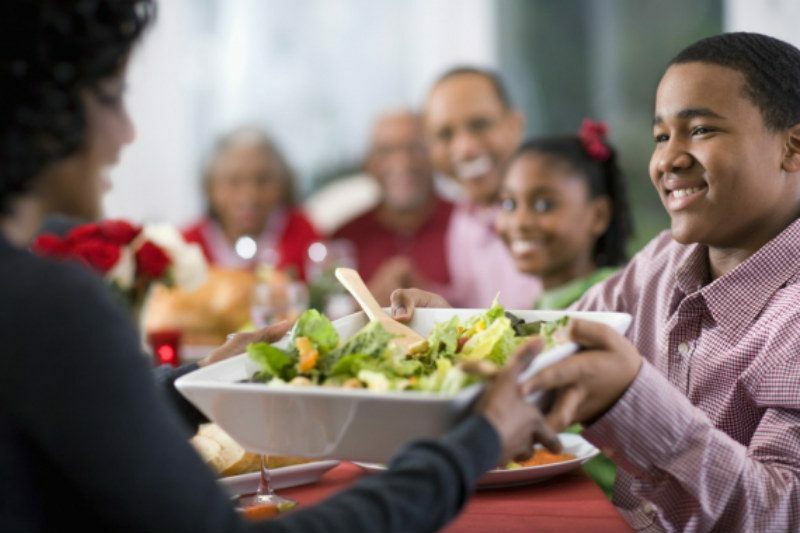 All’s good and well when it comes to the camaraderie of enjoying a meal, but there are certain social graces to be wary of that some elders may frown upon if not observed. 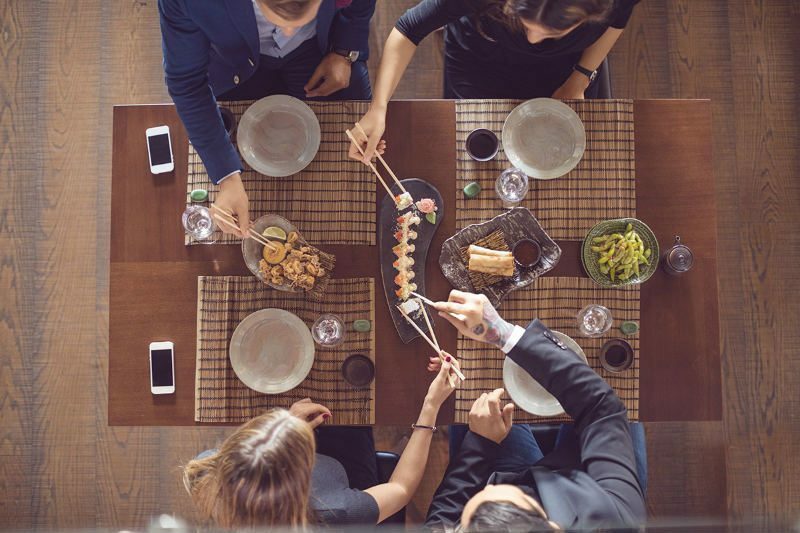 The next time you’re invited for a meal in a traditional Asian dining setting that you’re unfamiliar with, best keep this brief list of dining etiquette close by. We know how excitable we can get when making conversation over a hearty meal. 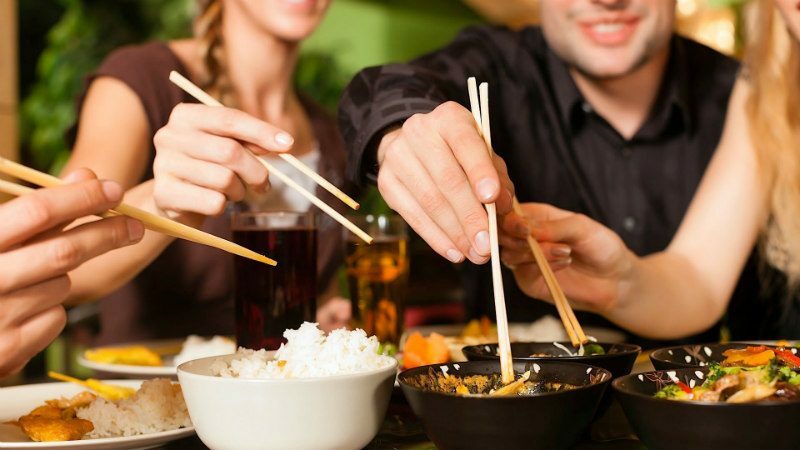 But do keep in mind, that in the Chinese culture, using your chopsticks to point at another individual is considered disrespectful and aggressive. 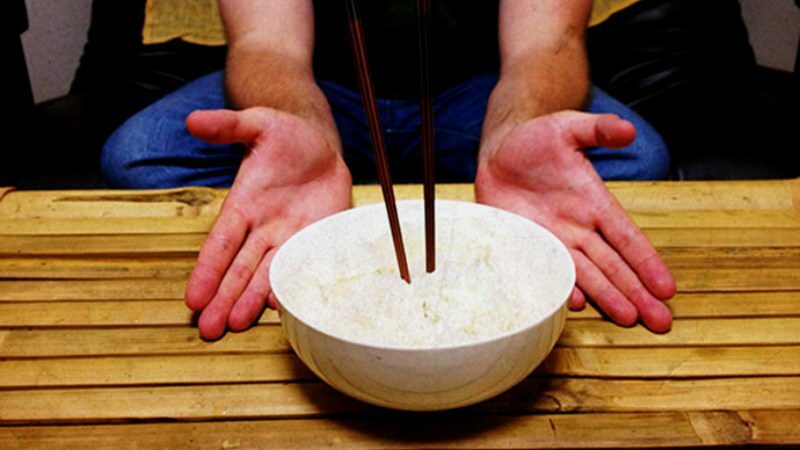 When wanting to give your chopsticks-handling skills a rest, remember to avoid sticking the sticks upright in your bowl of rice. This imagery is symbolic of bad luck; incense sticks are arranged this way in offerings to the deceased. Do you think it’s annoying when your friend makes obnoxious slurping noises when eating from a bowl of soupy noodles? Well, in Japan, they would be seen as paying compliments to the chef; it’s a sign of how much you’re enjoying your food. Most Japanese also believe inhaling air when eating noodles enhance its taste. 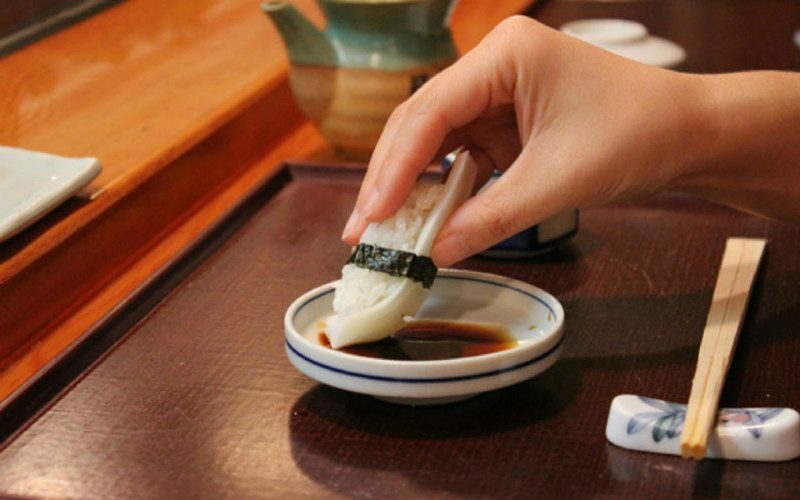 We think it’s pretty common knowledge by now that when eating sushi, you should be dipping the fish side into the soya sauce (and not the rice). But did you know, you shouldn’t be mixing the wasabi in with the soya sauce? This is seen as an offence to the chef and restricts the taste of the sushi itself. Since Indonesia is predominantly Muslim, using their hands to eat has become second-nature to their culture. As such, most of them would eat with their right hand, as the left hand is considered “unclean” and seen as rude and disrespectful when one passes food. 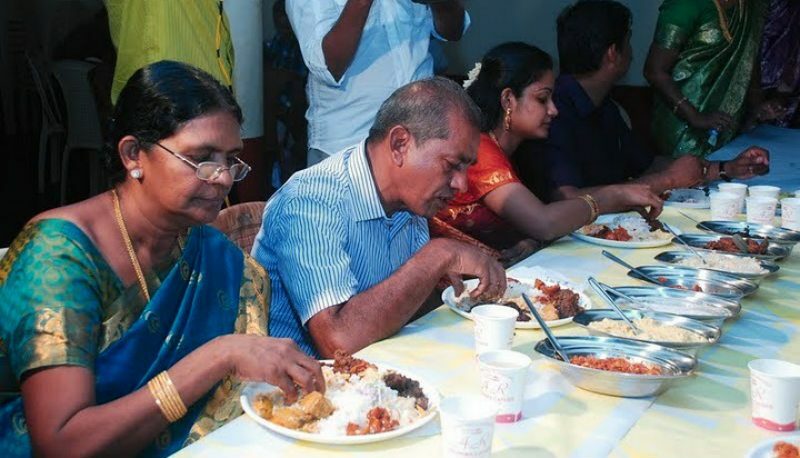 As most dining is communal, do remember to avoid using your own utensils to serve yourself from the communal dishes. Instead, use the serving utensils usually provided. 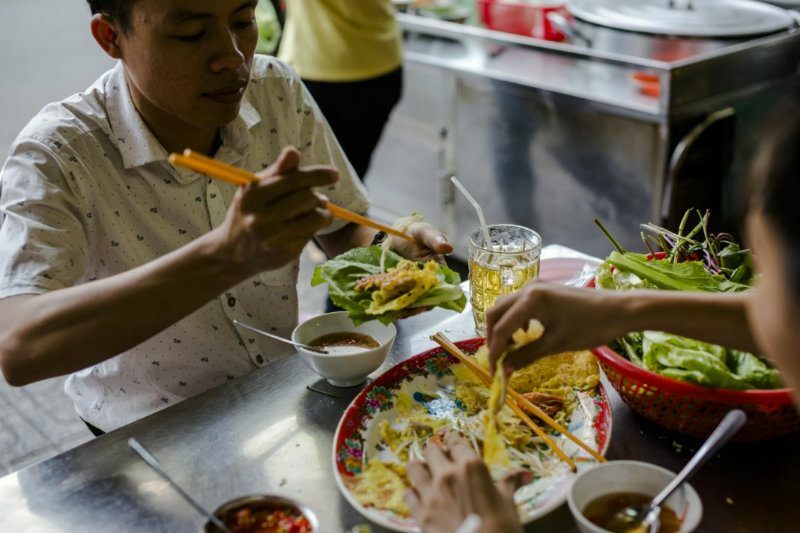 In Vietnam, it’s normal for the host to continuously offer to replenish your plate or bowl. So, to signal that you’ve had your fill, be sure to have some leftovers on your plate. Don’t worry though, leaving food behind is not considered rude in this context. 7. That Bowl Stays On The Table! 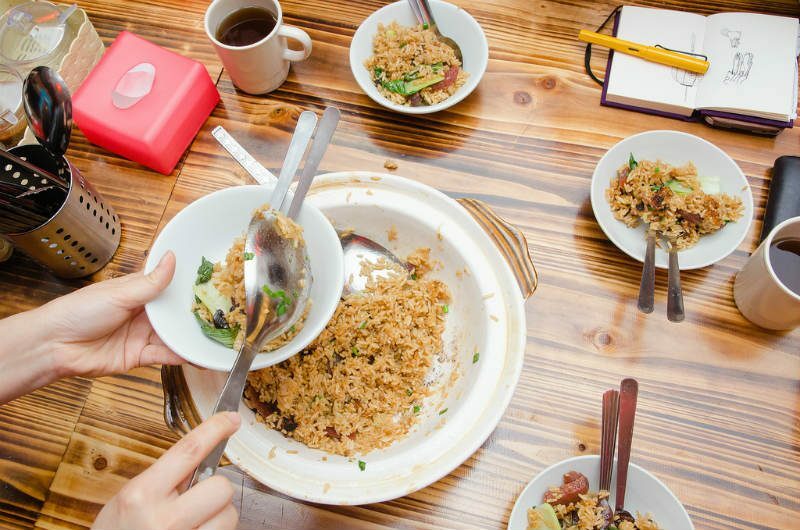 In Korean dining, a lot of dishes would involve a bowl of rice as accompaniment. 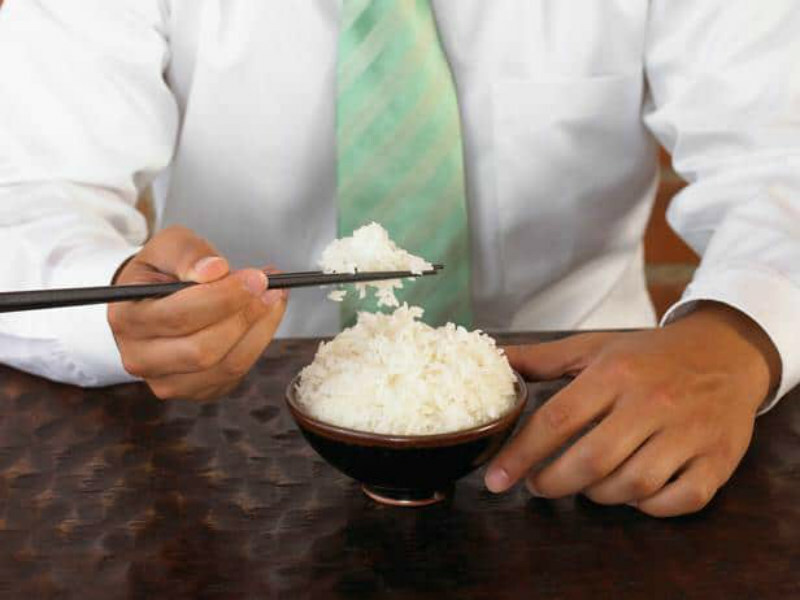 It may be easier to hold the bowl in your hand and shovel the rice into your mouth, but please don’t! Let the bowl remain on the table and scoop up the food instead. As a general dining rule, burping is mostly seen as rude. However, in some parts of India, not burping is considered a sign of not having enjoyed your meal. As a guideline, refrain from burping out loud unless you and the host are closely acquainted. During an Indian feast, don’t be shy to ask for a dish across the table to be passed to you. Pointing out, or worse, reaching out for the dish yourself is considered rude. Mealtime is all about bonding and enjoying the food, but it’s always wise to take note of customary guidelines so as not to offend anyone. But of course, as a guest in a foreign land, we’re pretty sure you’ll get a free pass if it happens to slip your mind – the sight of a glorious feast laid out before us does that to us too.